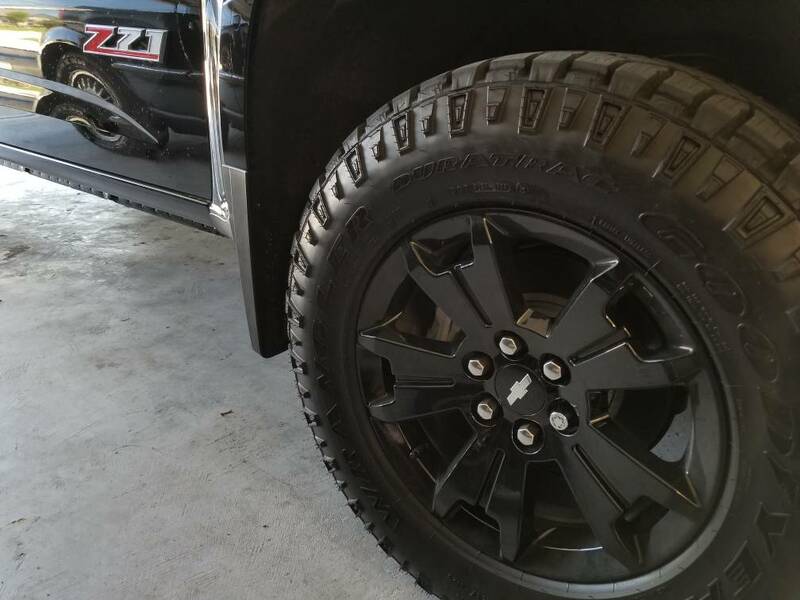 Hey everyone, im looking to get McGard wheel locks for my 2019 Colorado Z71. It's my understanding that there are two versions out there. One is longer than the standard lugnuts while the other is an exact size match. Anyone know which is the same size as the standard lugnuts. I spoke with McGard and they were no help. If it helps, i'm looking at the regular chrome ones. Thanks. I've been through this and McGard doesn't make a wheel lock the same length as the OEM lugs. It is about 1/4" longer. The OEM wheel lugs are about 1.75" long and the McGard wheel locks are 1.965" long and the only other size in a M14x1.50 is 1.640" and these will be too short. 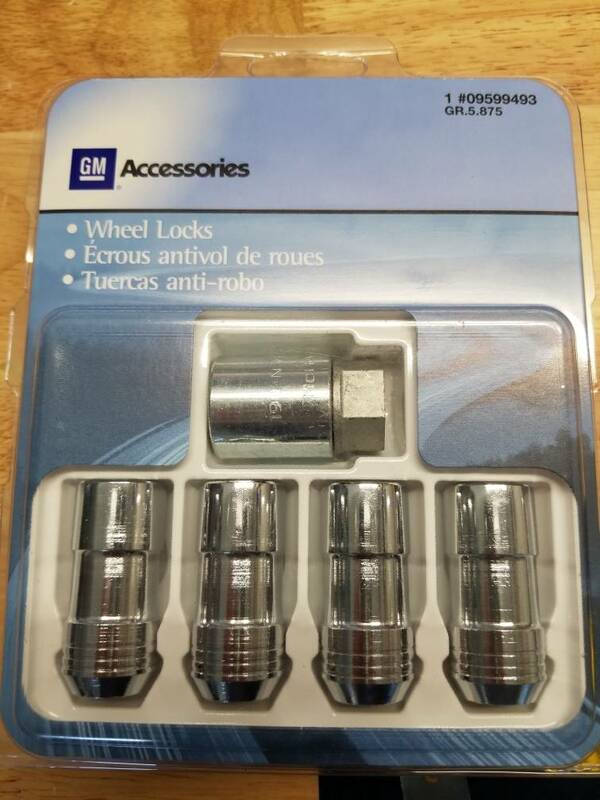 The only way your going to get lock nuts the same length is to buy a complete set of 24 in which all the lugs nuts are lock type or you could go to a set of Spline Drive lug nuts. Even the GM ones offered for the Colorado are longer than the OEM lugs. I picked up the long ones, in black. They're the same length as the OEM McGard lug nuts that came with my truck. The Gorilla Wheel Lock sets are nice and many people use them. Available in long or std. length. I went with Gorilla 71641 series. Yes they are a little longer, but its for balance since they are thinner. I don't mind as the odd nut stands out as a deterrence. LOL, yeah, you're more tolerant than I am. That one lug nut sticking out would bug the heck out of me. The Gorilla Lock Sets come in set of 20 or 24, in which all nuts are locks. That way nothing odd sticking out. You can get them in Black, Chrome, or Black Chrome, possibly. About $65 for a set of 24. Yeah, I have a set of these (Part #76645N). They call it the system. I also ordered a few extra keys because I know I'm going to lose one somewhere. I also have a Brand new set of their Spline drive nuts (Also with 3 keys) as well that I originally ordered for my now departed 3500HD which also used a M14x1.5 thread. Last edited by Jacqson; Today at 08:40 PM. I got these today at the dealer 70 bucks after tax. Fit perfect. When I bought my truck, they didn’t have the locking nuts installed. When I came back to the dealer later in the day, they must have put them on when they prepped the truck. However, I didn’t notice them until I got home. Immediately called the dealer up and asked why they put these long nuts on? They didn’t match and looked stupid! They said it’s the only ones GM supplied for it. I had planned to search for another set but admit I don’t really notice anymore. Based on a buddy's experience with a tire shop ducking up his recessed key type nuts, I will never put them on my vehicle. Its either going to be an odd hex or external spline thing. These security nuts shouldn't be hard to remove, many fall off on their own. But you don't want one with the "key" stripped out and too deep in the hole to get a grab on. They are a deterrence, that's all.